There is nothing more exciting than your first camper adventure. The camper you bought—whether it was brand new or a secondhand steal—is ready to go. You’ve done the research, and you’re eager to get out on the road. To be honest, probably more than you expect. Preparation is essential for any trip, but it’s especially important for new RV owners. There is a lot I wish I had known before I took my camper trailer out for the first time. I’m here to give you some tips to make your first camper trip unforgettable in the best possible way! I will also suggest which items you absolutely must bring along, and those that can be left behind. It can be easy to pack too much before your first camper trip. At the same time, you might be neglecting the essential items. A first aid kit is a necessity for any RV owner. You need to make sure you have any personal medications, as well as emergency supplies, on hand. You can purchase an all-inclusive first aid kit before you travel. A practical alternative is making your own personalized kit. You can’t take your camper out without tools. For example, you will need a wrench to adjust your tow hitch. Screwdrivers are handy for tightening loose cupboard or cabinet doors. And pliers have multiple uses in all sorts of situations. Glue, duct tape, and at least one flashlight are also useful to have on hand. Invest in a tool box to keep everything in one place, or buy a tool kit with all the basics. Keep in mind that you’re going on a trip, not moving to a new house. If you and your spouse are traveling alone, there is no need for a set of 10 dishes when two is enough. Similarly, your camper is not the place for hefty appliances. Bring along a hand-held blender instead of a full-sized one, for example. Take only what you need, based on your destination, trip length, and the climate. If it’s cold, one winter parka and pair of gloves will suffice. If your trip will only be for a few days, you won’t need three changes of sheets or extra towels. It’s worth the effort to organize your camper before you set out. Knowing where everything is makes for happier traveling. Storing items incorrectly can waste precious space. Instead of folding your clothes as you normally would, try rolling them. This is a space-maximizing technique—more clothes, less space! It’s never a good idea to over-pack cabinets, closets or cupboards. Use storage bins instead, to prevent items from bouncing around over bumpy roads. Bins (or other containers) also keep items more organized. Store similar objects together for fast and easy access: e.g. keep all your tools in your tow vehicle. Make use of the space in your vehicle with backseat organizers. Clean the camper thoroughly before you leave. Once you’re finished, list what cleaning supplies you will need to bring with you. When selecting items to bring with you, always think of space. You can find collapsible or miniature versions of almost anything. After all, you want to enjoy your camper’s living space, not drown in clutter! Collapsible items will let you save space while you’re traveling. Choose a collapsible silicone bucket instead of a traditional one that is hard to store. Get a travel kit of mini toiletries that is portable and compact. You will require counter space for preparing food, and closet space for many items. If you are planning on sitting outdoors, invest in foldable furniture. A collapsible camping table & seats makes for easy storage when not in use. You can even purchase collapsible containers for food storage. 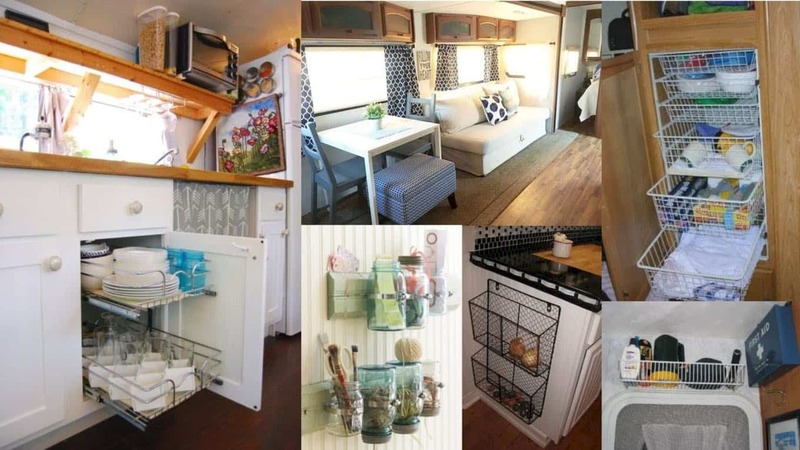 The goal of downsizing your items is to fit more while keeping your camper neat. It can be daunting to pack food for your first camper trip. As with personal belongings, you might find yourself getting carried away packing too much food. Especially for your first trip, try to plan your meals in advance. Eating out can be expensive. Make use of a meal planner to know how much and which food you will need to bring along. Planning meals ahead is also useful for adapting to cooking in your camper. You don’t want to buy all the ingredients, only to realize you don’t have the right appliances. Don’t panic about running low on food. Remember one of the advantages of camper trailers is that they can be unhitched with little fuss. Even if you do find yourself short of food, you can drive to the local grocery store. Whether you chose an off-road model or a classic teardrop trailer, you must know your camper. This entails being familiar with all the vital statistics. Have the basic information on hand, while you plan your trip and throughout it. Every RV owner should know the dimensions of their trailer or motorhome. If you have a pop-up camper trailer, know the length and height, both when set up and when closed. You want to make sure the sites you plan to visit will accept your camper. For example, some national parks have restrictions on RVs beyond a certain length. You should also memorize your camper’s weight and height. In case you come across a low overpass or low-weight bridge, it’s better to be safe than sorry. Most RVs (including campers) have three separate water tanks. There is one for waste water (black tank), one for reusable non-drinking water (grey tank), and a freshwater tank. Make sure you know how your camper’s water system works. Overflows can be nasty to deal with, and you certainly don’t want to run out of fresh water. Know the capacity of each tank, and how to empty and clean them. As for electricity, you should have a rudimentary understanding of your camper’s system. Learn the signs of minor and major electrical issues. Don’t attempt to fix electrical issues on your own, especially if you are a novice! It can be tempting to rush into taking your camper out as soon as you buy it. But uncertainty or lack of familiarity can lead to accidents. You want to be as comfortable as possible with your camper before you set out. If you haven’t already, practice driving with and setting up your camper. This is especially important if you’re traveling solo. Learning to tow a camper is not as difficult as driving a large motorhome. However, even experienced drivers have to go through an adaptation period. Make sure you practice accelerating, braking, and turning with your camper. Backing up is completely different with a trailer in tow. Spend as much time as you need, so that you feel confident before your trip. Know what precautions to take in bad weather—e.g. slowing down in windy conditions. This applies to any family member or traveling companion who will be driving. 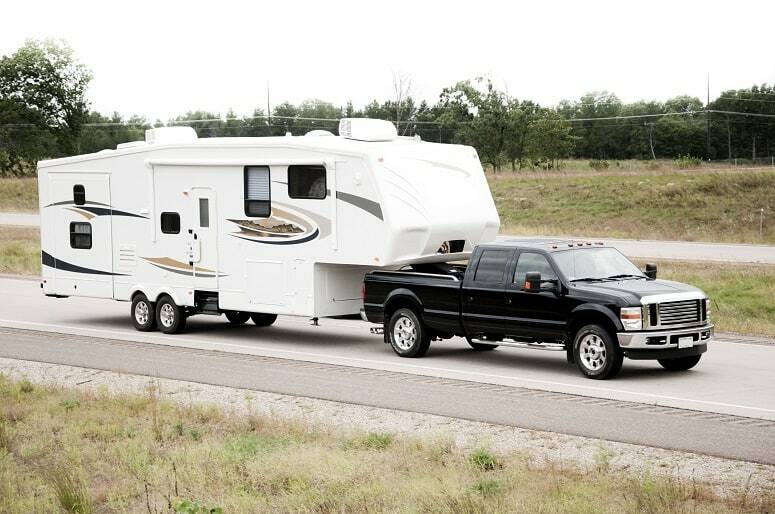 All potential drivers need to be familiar with the tow vehicle and towing the camper. Get used to opening up your camper, until it becomes second nature to you. Practice unhitching the trailer and leveling it. If you have a pop-up camper, learn how to set it up smoothly. Even if your camper is brand new, always perform a pre-trip maintenance check. Solving issues before you hit the road can save you a world of trouble. You should do the same for your tow vehicle. Trailer tires should be replaced every five years, maximum. If you bought your camper secondhand, check tires for lumps or flat spots. These are signs that the tire needs replacing. Check the air pressure of your tires before starting out. You can do this at a garage, or purchase a tire gauge of your own. Just as with your truck or car, your trailer axles should be correctly aligned. Misaligned axles can cause your tires to wear down faster. If, during your practice runs, you notice the trailer has a tendency to lean to the left or right, check the axles. Test the water and electricity facilities before traveling. It is easier to repair problems at home than discovering them on the road. Make sure nothing is stuck or broken on your camper before heading out. On your final run-through, set up and then pack up your camper, to be sure everything works. This is an absolute must for pop-up campers in particular. When it comes to your first camper trip, there is no such thing as too much planning. It’s also a good idea to keep your first trip short. There will be plenty of time for long journeys once you get used to the routine. There are thousands of campsites throughout North America. Pick one that appeals to you and isn’t too far away. Depending on your location, a national park might be an ideal first trip destination. Be as thorough as possible with your research before you make a decision. Consider who you will be traveling with—does your chosen location have activities for everyone? Bored kids are can ruin the best planned vacation. Satellite navigation systems and online tools make today’s route planning simple. Choose a trailer-friendly route and plan stops in advance. Applications like RV Trip Wizard can simplify the process for you. Know where rest stops are and the distances between them, especially if you are traveling with children. 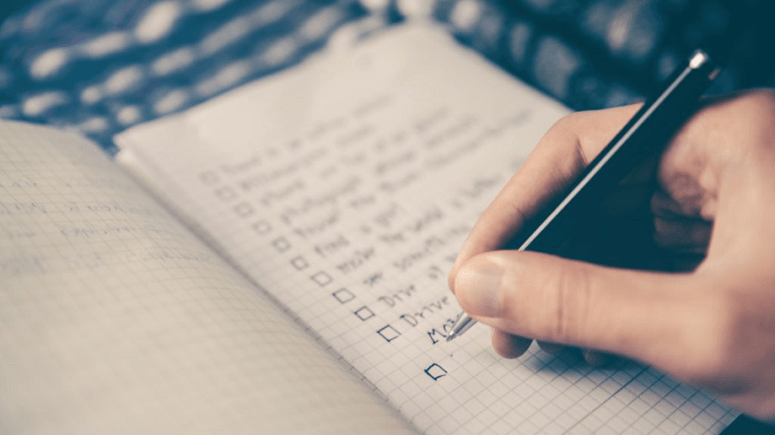 Make a list of activities you want to try or places you want to visit on your trip. This can include attractions on the road to your destination. 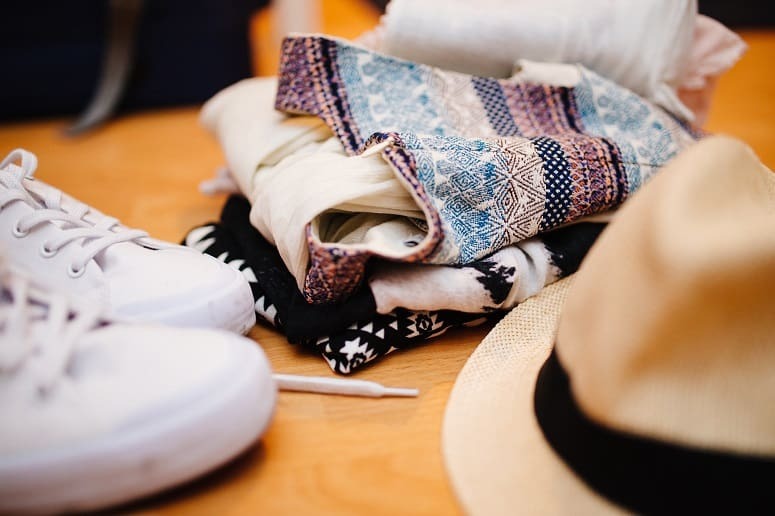 Knowing what you will be doing before you leave is also useful for packing. For example, if you’ll be visiting a beach, you know to pack swimwear! The first trip with your camper can be exciting—and stressful. Even with the best planned trips, unexpected situations can occur. Traveling with a camper also involves a certain amount of responsibility. To avoid conflict between you and your traveling companions, assign everyone roles. This tactic is helpful whether you are taking your camper out with family or friends. Know who will be driving when, and for how long. If your partner drives to the destination, offer to handle the drive back home. Adults should divide the duties evenly—especially less pleasant ones. Dumping the grey and black water tanks should be a chore everyone takes turns doing. Get a small-sized chalkboard or whiteboard to note down tasks. The same goes for cooking and cleaning. It isn’t fair for one person to be stuck making meals and washing dishes—it’s their vacation, too. Get the kids involved as well, make them feel important. I hope these recommendations have been useful to you as you prepare for your maiden voyage with your camper. Your first trip should be all about the adventure and the experience. No matter how excited you are to get on the road, take things slowly. Review what you are bringing with you, your destination, etc. The effort you put into preparing your camper (and yourself) will pay off later. A lot of stress and mishaps are avoidable with proper preparation. Do you have any other suggestions for first time camper trips? Share the lessons you have learned on the road for all the beginners out there. If this list helped you, please share the article!